Issue 180 of The Superyacht Report is out now and available to purchase, or download for existing subscribers. In this, our new build, class and flagging issue, we conduct a rare interview with Joel Walton (pictured), CEO of the Maritime Authority of the Cayman Islands, analyse the composition of the sub-500gt market, tackle the thorny subject of whether the class approval process is stifling OEMs and much more. Invariably it’s the largest and most expensive yachts in the fleet that garner the most attention from the media. And, while these vessels play a vital role in capturing the imagination of the world’s wealthiest individuals, they are something of an anomalous barometer for the health of the market at large. In this issue William Mathieson, Editorial Director of The Superyacht Report, explores the performance of this fundamental sector of the market, aided by data provided by The Superyacht Intelligence Agency. Amongst a variety of charts, graphs, and a case study - provided by the Isle of Man Shipping Registry - one of the most telling statistics is the 10-year performance of the sub-500gt market plotted against the performance of the 500gt-plus market. What this line graph highlights is how the sub-500gt market, ostensibly the feeder market for the entire superyacht industry, can be adversely affected by economic change, far more so than the 500gt-plus market; it also highlights the beginning of a recovery. Many professionals that ply their trade in the superyachting industry understand the necessity of the flag state. But far fewer understand how the role of the flag state has evolved since the inception of professional yachting. In his interview, Walton explains how flag states must adapt in line with the needs of the yachting community and explicates the necessity of the new Red Ensign Group Code - the consolidation of LY3 and PYC. As the yachting market continues to professionalise, flag states must keep pace with change. 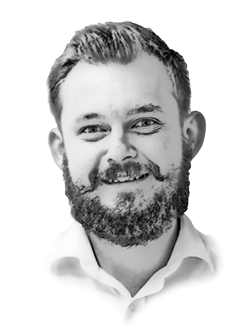 Elsewhere, Tim Thomas, Technical Editor of The Superyacht Report, asks: “Does the type approval process for original equipment manufacturers (OEMs) hoping to meet class requirements need an overhaul or is it something that OEMS should be handling better?” For lack of a short answer to this incendiary topic, be sure to pick up issue 180. 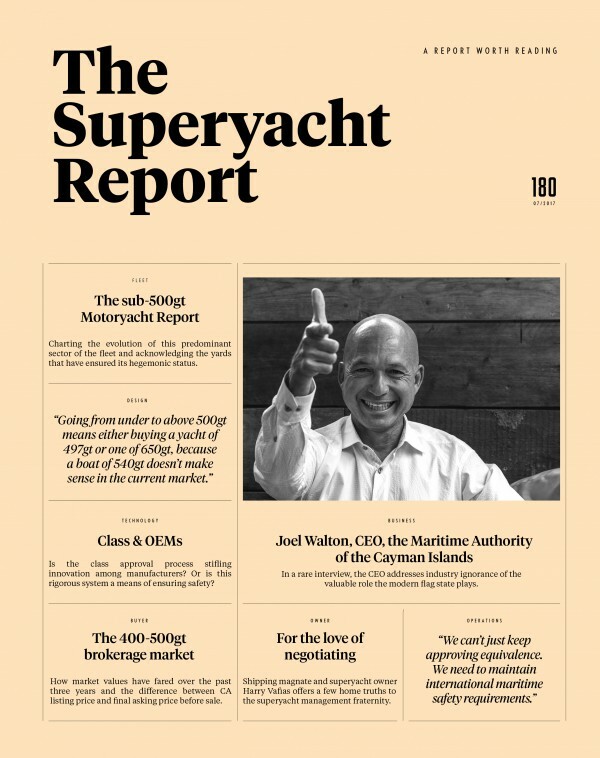 If you are yet to subscribe to The Superyacht Report, click here. Equally if you are a VIP - either a captain, owner, yacht manager, chief engineer, first officer, broker, designer, senior shipyard management, owner’s representative, investor or family office - you can receive The Superyacht Report for free, click here to apply.